The American Diabetes Association invites you to join them at their annual Health and Wellness Expo on April 8th, 2017 in Chicago, Illinois. This event is FREE and promises lots of fun, games and diabetes education for the entire family! This year, American Medical ID has donated over 200 diabetes bracelets that will be given to EXPO attendees to help educate on the importance of wearing a Medical ID. Mallory Dahlquist, Manager- Community Health Strategies with the ADA Illinois Chapter, answered many of our questions about the upcoming event. Tell us a little bit about the event: On April 8th, 2017 the American Diabetes Association will host its 14th Annual Health & Wellness EXPO, presented by Meridian, at the McCormick Place from 10am-3pm. This free event includes activities for people of all ages, including a Family Fun Zone with information for the whole family. The Health & Wellness EXPO provides the community with a unique opportunity to receive free health screenings, participate in healthy cooking demonstrations, learn more about active living, speak with over 50 exhibitors and listen to leading experts talk about diabetes, prevention, management and breakthrough technologies. What is the Family Fun Zone? What are some of the activities? The Family Fun Zone is a space at the Health & Wellness EXPO with information, activities, and resources for those at the EXPO under the age of 18 years old and their family. 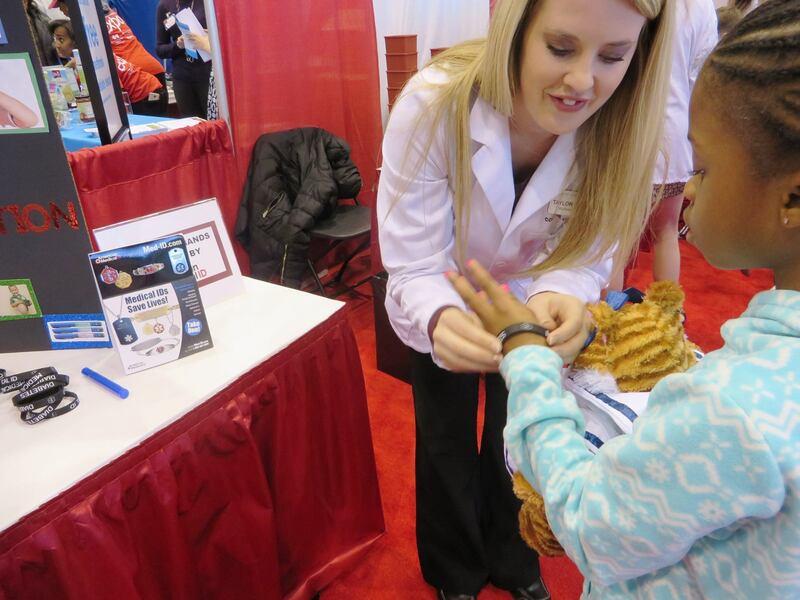 In the Family Fun Zone, kids will participate in a “Diabetes Clinic” and get the chance to adopt a stuffed animal with diabetes, and have to visit stations to learn how to care for their new furry friend. Stations include education on type 1 vs type 2 diabetes, insulin delivery systems, blood sugar management, handling emergencies, the importance of wearing a medical ID, carb counting and nutrition, physical exercise and how to get more involved with the American Diabetes Association. There is a focus on type 1 diabetes; however, we are also including information on type 2 diabetes and prevention at the nutrition/carb counting station and physical exercise. The American Diabetes Association hosts 7 camp programs in Illinois for those living with type 1 diabetes, 4 day camps and 3 residential camps. This summer, the day camp theme is Under the Big Top so we will also be having some fun circus/diabetes themed games. Some of these games include Pin the Pump on the Person, Blood Sugar Pong, and Insulin Bottle Ring Toss. There will also be some magic and juggling from a local magician and a craft/activity space. Who are the kids participating? Are they newly diagnosed with diabetes? The kids participating can really be anyone- those with type 1 diabetes, those at risk for type 2 diabetes, those who may have a parent or family member with diabetes, some newly diagnosed and others who have been coming to Association programs/events for years. Do they participate in other ADA programs, or is this open to any child who attends the Expo? 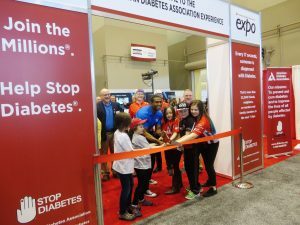 A majority of the kids participating do participate in other ADA programs; however, the EXPO is open to anyone to participate and we get new and returning families each year. What was the inspiration for this program? What is its goal? The inspiration for this program came a few years ago when I had received a donation of stuffed animals for camp. We did not just want to give them away to campers, but really use them in the best way possible. At our EXPO we had been looking for new fun ways to educate kids about diabetes, and the stuffed animals came at the perfect time. The goal of our Diabetes Clinic is to educate children in a fun way about diabetes management to better help themselves with their own diabetes or help their family/friends impacted by the disease. We hope that by learning in a hands on way like this, that the information sticks with the kids after leaving the EXPO. How does American Medical ID’s donation of Diabetes bracelets help to reach the goal of the program? The donation from American Medical ID helps with our education because one of the stations is to learn about handling an emergency. This includes the importance of wearing a medical ID badge so people know you have diabetes if you cannot tell them. I always share a story that the ONLY time the paramedics came to my house was the one night (literally ever) that I did not wear my medical ID to bed (I forgot to put it back on after I showered). The paramedics did not know I had an insulin pump, which would have helped because my blood sugar had dropped too low for me to tell them. We also require our campers to wear a medical ID to our camp programs, and educate them on how it is for their own safety. Regarding medical IDs, what are the most common questions participants ask? The most common questions are about cost, comfort, and design/personalization. Kids love being able to make their ID badge “their own” so it is more appealing to wear. Do you commonly see expo participants wearing a medical ID or is it typically a new concept for them and their families? We see a huge variety of families at EXPO so I feel we get a good mix coming through. Is there a particular style medical ID the children seem to like the most? The children seem to really like ones that are comfortable, without any clasps, that are okay to wear for sports/waterproof. Any other information you’d like to share? This will be our 3rd year with our Diabetes Clinic. Last year, we had a family come with their daughter who has type 1 diabetes and her younger sibling. Both went through the clinic and got their new friends to take home and had a blast at Expo. A week or two after EXPO the younger sister started showing some early signs of type 1 diabetes, and had asked her mom if she was going to get diabetes like her new furry friend. Sure enough, she was diagnosed (bear in hand at the hospital, I might add) that week with type 1 diabetes. ADA, ADA Chicago, ADA Expo, American Diabetes Association, diabetes, Diabetes Education, Donation. Bookmark.